You can enter to win in the O-Cedar EasyWring Spin Mop System Giveaway Sweepstakes, but this sweepstakes ends on June 19. If you would like to enter the O-Cedar EasyWring Spin Mop System Giveaway Sweepstakes, simply click here to fill out the request form. 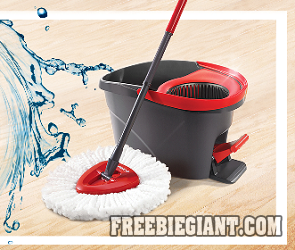 Winners will each receive one (1) O-Cedar® EasyWring Spin Mop & Buck System (each a “Prize”). Approximate Retail Value (“ARV”) of each Prize: $39.98.